to the whole release, with harsh rolling sound and big buildup for the floors. 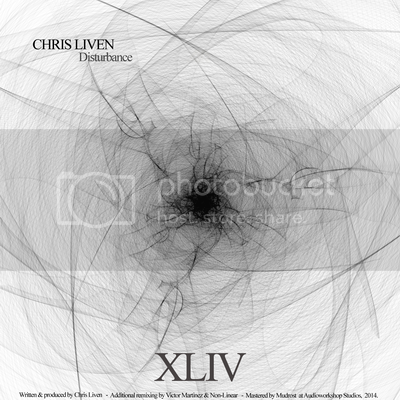 Chris Liebing "Disturbance for me, thx!" Samuli Kemppi "Liking the Non-Linear remix here. Thanks!" Go Hiyama 'Disturbance is good. I add to playlist. Thanks!" Kwartz 'Victor Martinez Remix for me, thanks!" Ness "nice one... will try them all"
Bas Mooy "Thanks! Best Mix Non-Linear Remix"
Coefficient "Victor Martinez & Disconnection original. Good work"
Alexandar Ivkovic "Non-Linear remix for me..."
Speed Progress "Good release !" DVNT "Disconnection has a great feel to it." DJ Ogi "Non Linear rmx sounds cool!" Victor Martinez "Thanks , Non-Linear remix for me." Gabeen "Nice relase, will test! thx"
Jose Pouj "Great release, Disturbance & Victor Martinez remix." Mudrost "Playing Martinez remix & Disconnection original." Adam Kelly "Disconnection for me!" Bojan Vukmirovic "Nice rls, disconnection original mix for me"
Vegim "Non-Linear Remix is beast. Will play this loud." Dialect "Liking this , heavy and dark, Martinez remix for me!" Tyler Smith "Full support. Thanks for the promo !" Michael Schwarz "Thanks... Will test it..."